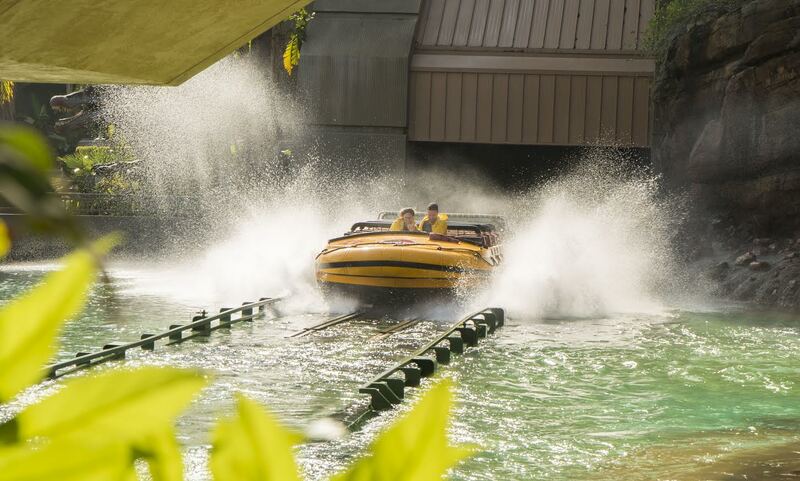 Hollywood Calif. – Two LA locals just broke the ride record for “Jurassic Park – The Ride” by experiencing it 62 times in 13 hours with a twist. SHE didn’t see coming! 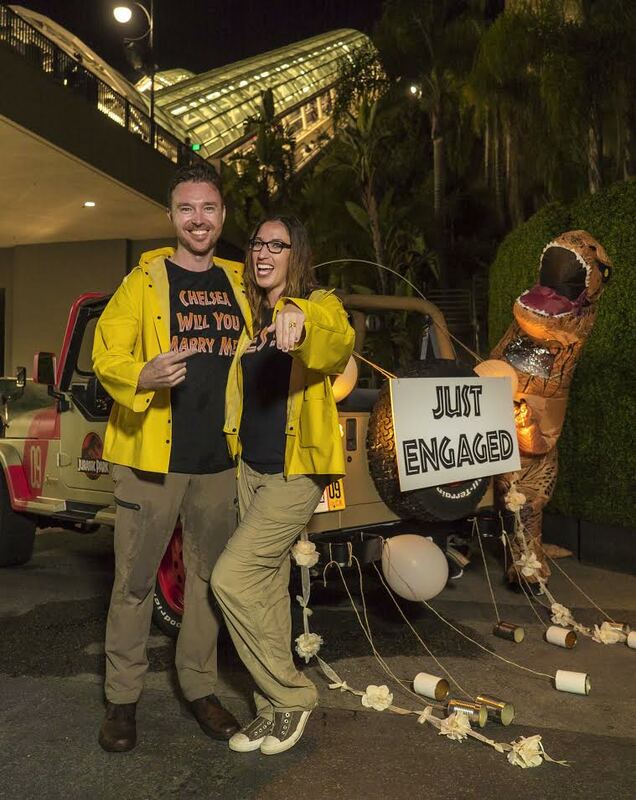 Chelsea and Devin are local LA residents who have made a tradition of coming to Universal Studios Hollywood every year for Chelsea’s birthday to ride “Jurassic Park – The Ride.”When they heard the ride is closing on September 3rd to make way for the new Jurassic World Ride coming in 2019, they were inspired to break the record for most times ridden! Chelsea and Devin rode an official 62 times on Tuesday July 17th, 2018 for 13 hours, with just enough break time for a quick lunch, breaking the previous unofficial record reported by Buzzfeed in 2015, which was held by two best friends who rode it 60 times. 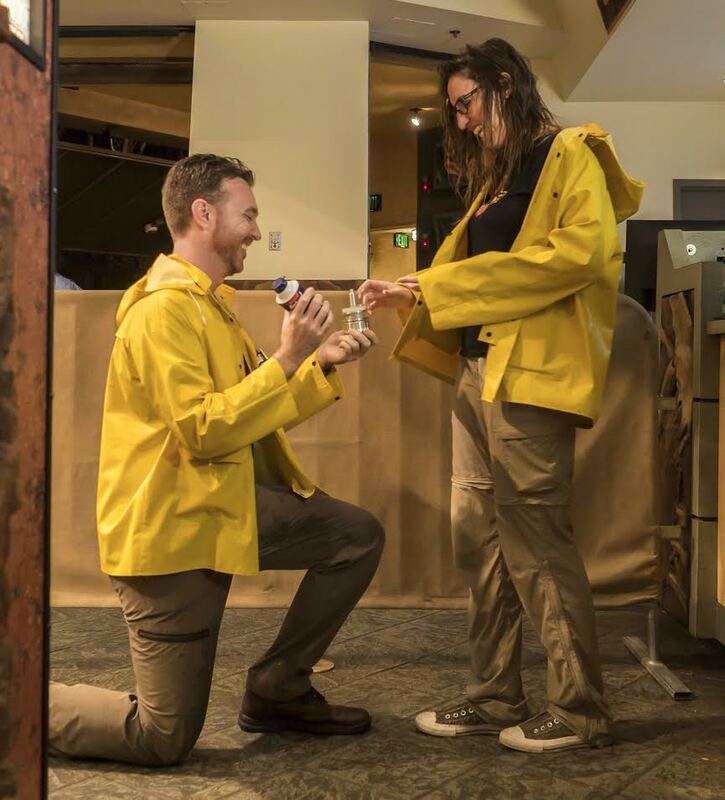 The engagement ring was a custom made misquote amber ring (image attached) inspired by the amber rocks from the Jurassic Park film franchise and Universal Pictures donated an official Barbasol can prop replica for the proposal. Blue, the Velociraptor from Universal Pictures and Amblin Entertainment’s Jurassic World Franchise,debuts at Universal Studios Hollywood and Universal Orlando Resort as part of the “Raptor Encounter” experience. Universal City, CA, Orlando, Fla., June 11, 2018 – Blue, one of the most popular dinosaurs from Universal Pictures and Amblin Entertainment’s blockbuster Jurassic World franchise, is now part of Universal Studios Hollywood and Universal Orlando Resort’s exciting “Raptor Encounter” experiences inviting guests to brave the dangerous predator in daring face-to-face standoffs. The imposing life-like creature is Owen’s beloved Velociraptor from Jurassic World and Jurassic World: Fallen Kingdom and was brought to life for the “Raptor Encounter” employing the exact computer-generated model and images used to create her for the big screen. 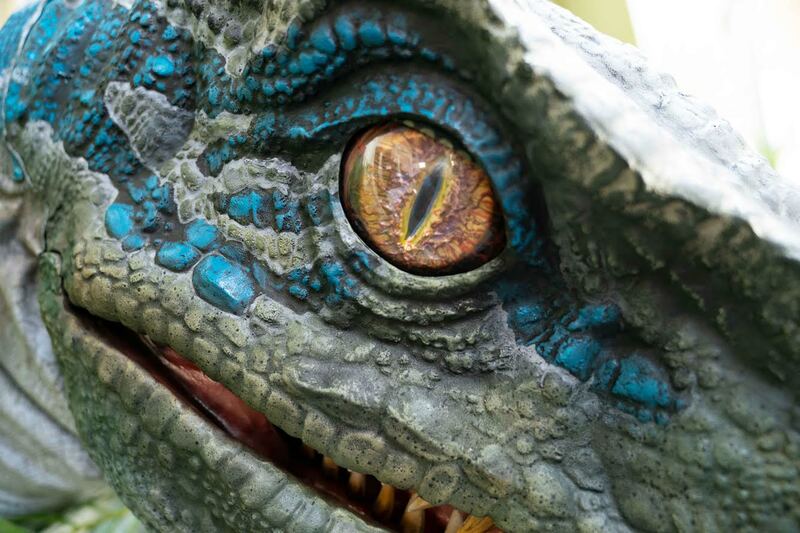 Blue is a welcome new addition to the “Raptor Encounter,” allowing guests to come face-to-face with the clever carnivore. 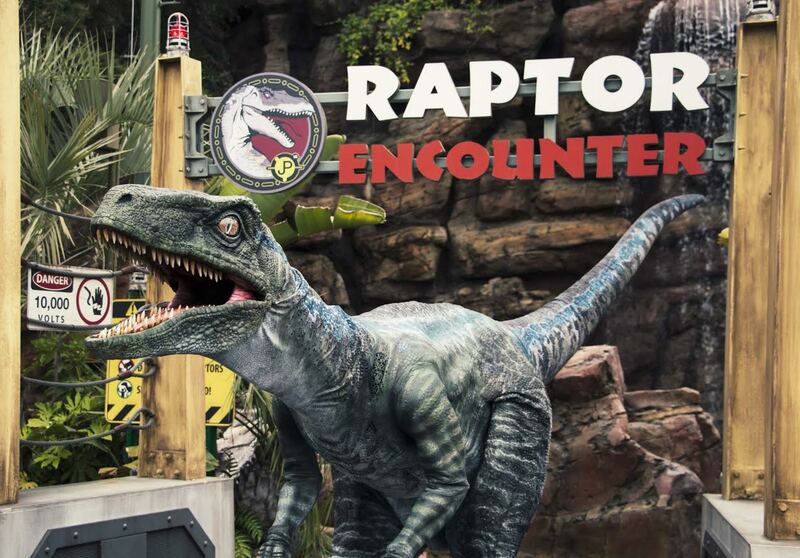 Velociraptors are intelligent and formidable hunters, and theme-park guests are advised to approach them with caution. With their intimidating eye contact and ear-piercing screeches that reinforce predatory dominance, each Raptor bares 56 razor-sharp, bone-crushing teeth and lunges forward with curved talons that extend up to 12 inches from their 18-inch-long feet. Towering 12 feet in height and 15 feet—from tail to snout—the aggressive carnivores will each succumb to highly skilled handlers who adeptly guide them to within feet of guests. Universal Studios Hollywood recently announced its “Countdown to the Extinction of Jurassic Park—The Ride” campaign designed to pay homage to the thrill ride that closes on September 3 to make way for the all-new Jurassic World ride, a technologically-advanced epic adventure inspired by Universal Pictures’ blockbuster film franchise, opening in 2019. In 1996, Universal Studios Hollywood redefined theme park thrill rides with the unprecedented introduction of “Jurassic Park—The Ride,” based on three-time Academy Award® winner Steven Spielberg’s epic film. 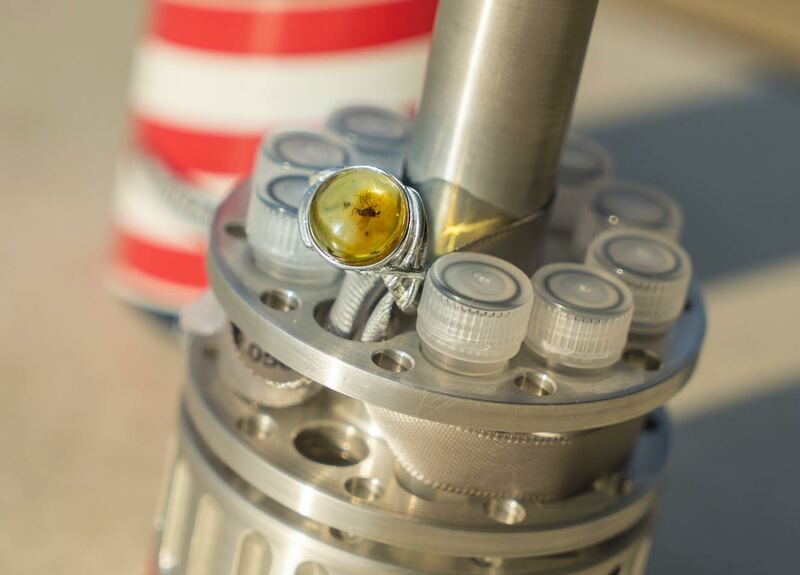 Hailed as a technological achievement of triumph and wizardry, the ride featured newly debuted principles of hydraulic physics, mechanics and space-age robotics. Working in partnership with scientists, paleontologists and aerospace engineers, Universal Creative—the team that develops Universal theme park rides—brought to life one of the most compelling rides ever created. Life-sized and lifelike animatronic dinosaurs, some towering more than five-stories high, freely roamed the earth at Universal Studios Hollywood. Twenty-two years later—and after sending millions of guests back to the Jurassic era for menacing encounters with such predators as Stegosaurus, Parasaurolophus, Dilophosaurus, Velociraptors and the Tyrannosaurus rex, “Jurassic Park—The Ride” will become extinct in preparation for a new, next-generation experience that’s even more immersive and technologically-advanced.